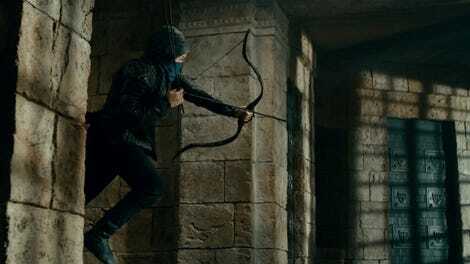 Little John teaching Robin Hood how to be a proper bowman. In order to differentiate it from the countless other Robin Hood adaptations, Lionsgate decided to go in a decidedly more modern direction for director Otto Bathurst’s upcoming movie starring Taron Egerton and Jamie Foxx. Sort of. While Bathurst movie’s still set in medieval times, the latest trailer really shows off just how much of a modern-day vibe it’s going for. Robin’s still very much a scoundrel who steals from the rich in order to give to the poor, but the theft, in this case, involves a carefully coordinated robbery of a sophisticated casino, à la the Oceans franchise. 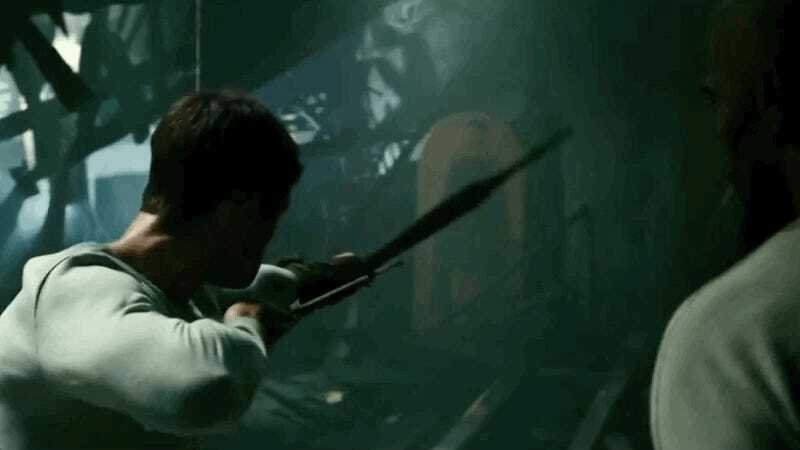 Out of all Robin Hood’s ridiculously anachronistic elements, the most amusing is perhaps Little John and Robin’s training sequence that’s basically like the “curving the bullet” scene in Wanted. It’s silly and probably not at all based in any sort of historical reality but that’s not why you’re going to see this movie. You’re going to see all the weird bird faces Egerton’s going to make as he draws his bow when Robin Hood hits theaters on November 21.